Every time Mr. Beet and I travel, I have this unfounded desire to drink a soda. It doesn’t matter if it Pepsi or Cocoa-Cola, it doesn’t matter if we are driving or flying, I love to grab a soda. The caramel chemical bubbly beverage is also my go to medicinal assistance when I get a migraine as it soothes my head and calms my stomach. And I have tried to substitute the “healthier” versions with raw cane sugar, or the “natural” soda (is soda natural?) and I always find myself going back to those red & white cans of bliss. And for anyone who knows anything about health, you know soda is not good for your sugar levels or your waistline. And as I get older, the amount of soda I have drank through the years is starting to catch up with me. I have been doing mini 7-day challenges since the beginning of the year. Challenges like drinking more hot tea or eating Vegan for a week, but my soda habit needs to be gone for good. Not only because of the sugar and imminent weight gain, but all the chemicals in a soda is also not healthy. 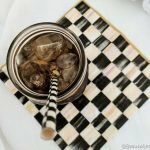 I found this recipe on Serious Eats to make homemade cola, and while it isn’t spot on to Coca-Cola, it is pretty satisfying. And yes, there is still sugar in this recipe, but it is also significantly less than the “real” stuff and without the artificial colors or flavors. I made a few changes to cater towards my needs, like adding green bean coffee powder for caffeine to improve blood circulation for energy, and to assist with easing the pain of migraines. 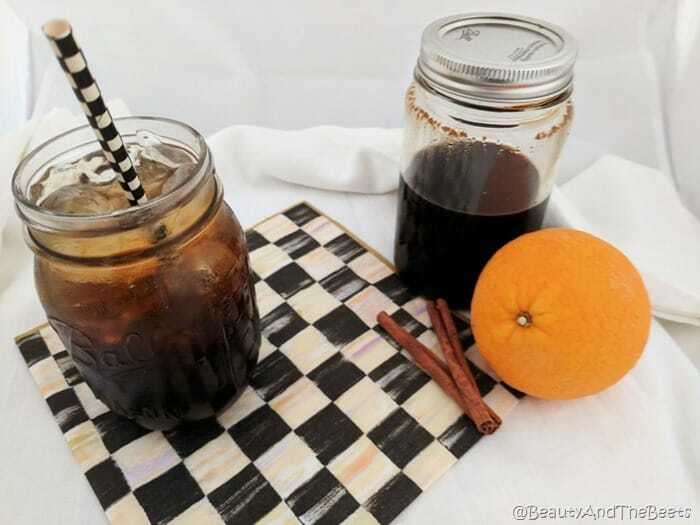 It’s a wonderful mix of flavors like orange, cinnamon, coriander and nutmeg. The syrup will store in the fridge and the recipe will make enough syrup for about 8-10 glasses, depending on how “sweet” you like your soda. Stir the water, lemon zest, lime zest, orange zest, cinnamon sticks, dried orange peel, whole coriander seed, nutmeg, and green bean coffee powder (if using) in a large saucepan over medium heat. Stir in the sugar and bring to a boil. Boil for one additional minute, then remove from the heat. Add the lemon juice, lime juice, orange juice, browning sauce, and pure vanilla extract to the saucepan mixture. 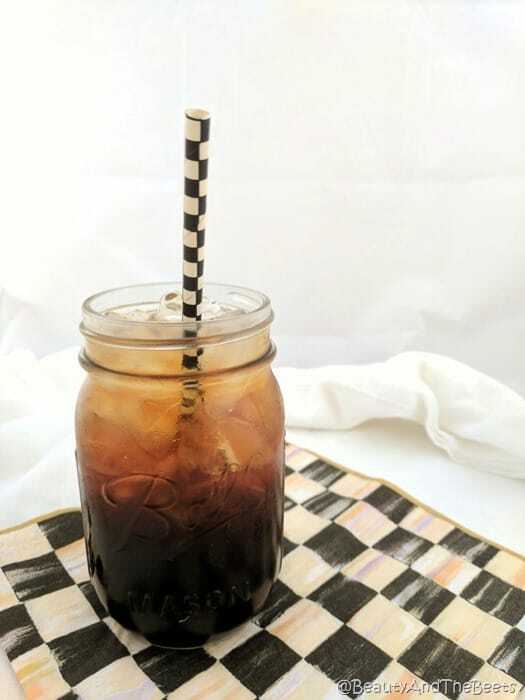 Let mixture cool, then use a fine mesh strainer and strain syrup into a mason jar or other sealable bottle for storage. 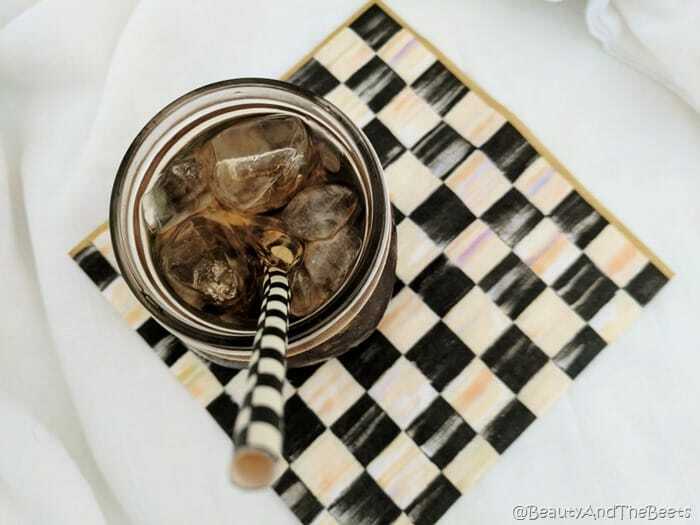 To make one cola drink: Combine 1/2 cup of the cola syrup with 1 1/2 to 2 cups of seltzer water (pour slow as the mix will fizz, just as regular soda). Add ice, if desired, and serve. Tell me in the comments- what is the one thing you are struggling to give up for the sake of your health? My husband thinks I’m crazy. But the truth is, something in Coca-Cola is infinitely settling to my stomach when I feel sick. 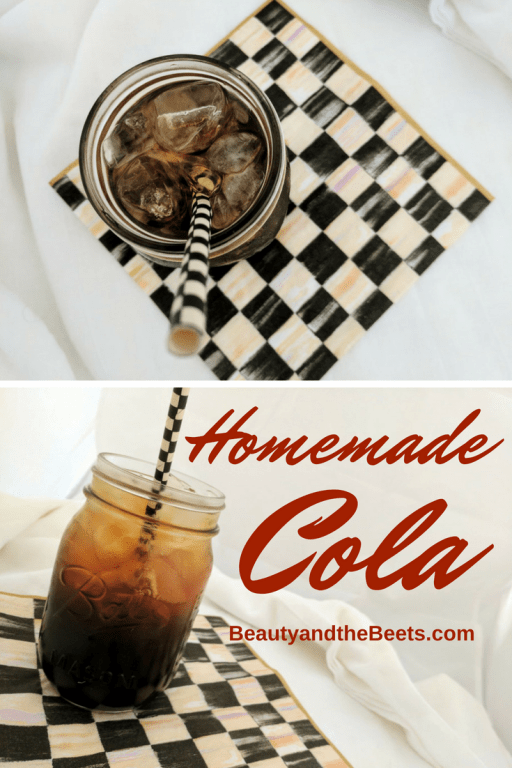 Since I’ve been pregnant, I’m drinking a watered-down Coke every day – just one is enough. And when I’m dehydrated, it’s a sure way of getting liquids in me even when nothing else stays down. Doctors all over the world use it as a digestive remedy as well, particularly in poorer countries where medicine is not readily available — so I am not nuts!